The rupee also gained on the back of Rajan's announcements and went up to 65.5 against the dollar in intra-day trade from yesterday's close of 67.07. MUMBAI: The benchmark S&P BSE sensex soared 412 points to a three-week high on Thursday after new RBI governor Raghuram Rajan whetted the appetite of investors with a spate of measures including steps to boost the rupee and revive economic growth. The gains were led by banking, realty, consumer durable and PSU stocks, while information technology stocks declined. The index opened 290 points higher than yesterday's close and gained as much as 550 points to the day's high of 19,117.52 before settling at 18,979.76, a rise of 412.21 points or 2.22%. The sensex was at the highest level since August 14, when it closed at 19,367.59. Yesterday, the sensex had gained 333 points on investor optimism about the new RBI governor. Soon after taking over as the 23rd governor of the Reserve Bank of India, Rajan announced plans to revise and strengthen the monetary policy framework and liberalise the markets as well as curbs on investment and position-taking. He said steps would be taken to strengthen financial infrastructure and attract capital inflows and stressed the need for faster, broad based, inclusive growth. "The RBI governor's enthusiastic words seemed to calm the markets," said Raghu Kumar, co-founder of RKSV Securities. "Mr Rajan emphasised that the RBI's primary role is to keep inflation levels at bay and to keep stability in the markets." The banking sector index rose 9.3% after Rajan raised the overseas borrowing cap for banks and said there is a need to cut investments by lenders in government securities. He said banks would soon be free to open branches. 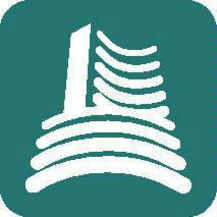 The National Stock Exchange index Nifty shot up 144.85 points, or 2.66% to 5,592.95. The MCX-SX's SX-40 ended at 11,208.21, up 241.39 points. The passage of the Pension Bill in the Lok Sabha on Wednesday raised hopes of more reforms, experts said.